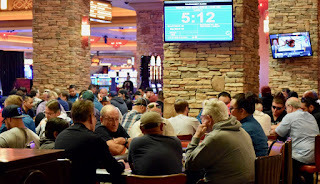 Day 1D players are on their first 15-minute break of the day. 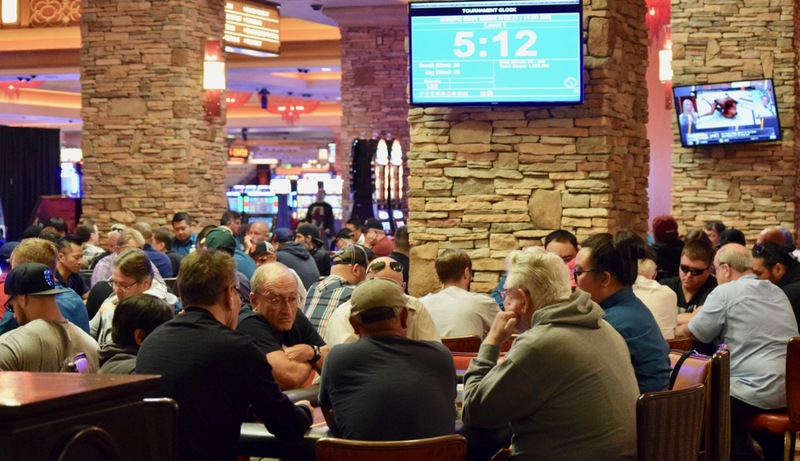 The field is now more than 800 entries for the four flights combined, and this flight has open registration ( with one re-entry available per player) until 8:30pm. DanTheBlogger TipOfTheDay ... Go grab yourself something from Fatburger, maybe a coffee from Peet's, a Subway sandwich, ...but remember to be nice to the staff at those places. They know you're on a 15-minute break and they move fast for you, but you still need to show an ID to use a credit card/room charge or your comps from your player card, no matter how rushed you may be.